One of the big events of 2017 was the opening of the Hamburg Philharmonie. Krzysztof Urbański and the NDR Elbphilharmonie Orchestra gave inaugural concerts there that made a lasting impact on audiences and critics alike. On this occasion, the Polish conductor chose to record one of the works closest to his heart, The Rite of Spring: "Stravinsky invented a new language. For me, The Rite is not a score, but a painting: on each page, I see Matisse, Gauguin, the Fauve painters... It’s an explosion of colours, emotions, and surprises too: if you don’t know the piece, you never know what’s going to happen. It’s so suggestive that you don’t need to do all that much with the orchestra, the magic is written into the music... When I conduct The Rite, I don’t think: the music penetrates your backbone, it’s inside you... It’s a ballet, and perhaps it’s because I was a dancer when I was younger that I can’t control my body when I hear and conduct this piece. It’s a mystical experience for me!" The audio recording was made in sessions in the brand new Philharmonie and the Blu-Ray that accompanies the CD includes the film of the concert given in February 2017 in this superb building designed by the Swiss architects Herzog and de Meuron. 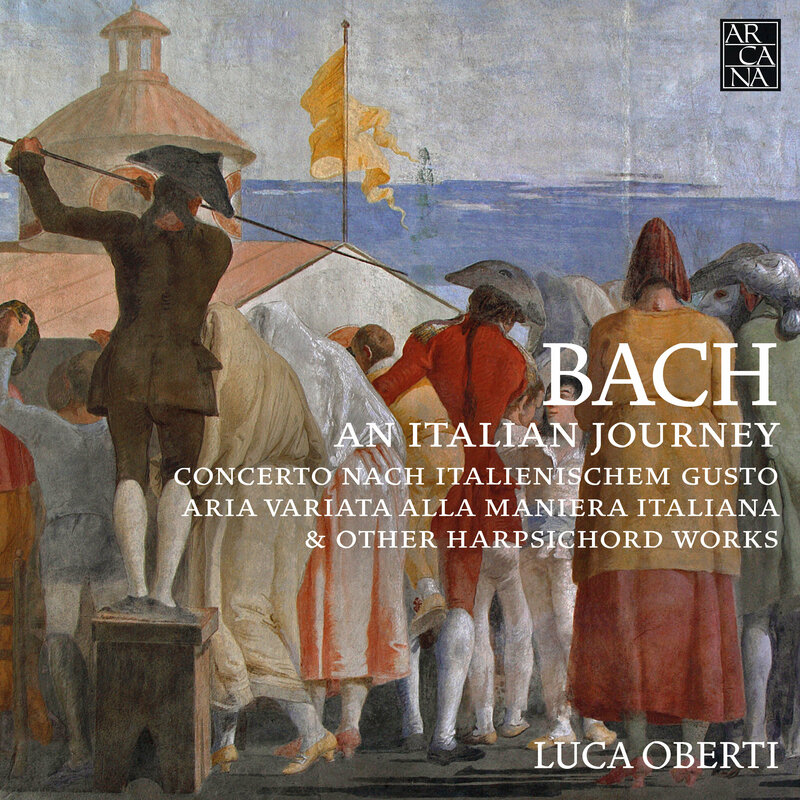 After his first solo album of music by Marchand and Clérambault, released in 2015 and nominated for a Preis der Deutschen Schallplattenkritik, the harpsichordist Luca Oberti, who has performed on the international scene for years alongside such figures as Marc Minkowski and Christophe Rousset, presents a new CD on the theme of Bach’s imaginary journey to Italy. Schütz, Froberger, Muffat, Handel, Hasse, Mozart and Wagner are merely the most famous of the many musicians who crossed the Alps to immerse themselves in the world of Italian music and grasp its atmospheres and its secrets. Yet the composer who most fully assimilated the Italian style was Johann Sebastian Bach, who never even set foot in Italy. His journey was a virtual one: the scores of the Italian masters, which he avidly studied and absorbed from childhood onwards, guided him on an ideal itinerary from Vivaldi’s Venice to Frescobaldi’s Rome. Beginning with the transcriptions of concertos by Vivaldi and Marcello, and continuing with pieces of Italian inspiration like the Aria Variata alla maniera italiana, the Capriccio sulla lontananza del fratello dilettissimo and the Fantasia and Fugue BWV 904, the journey culminates in the celebrated Italian Concerto. 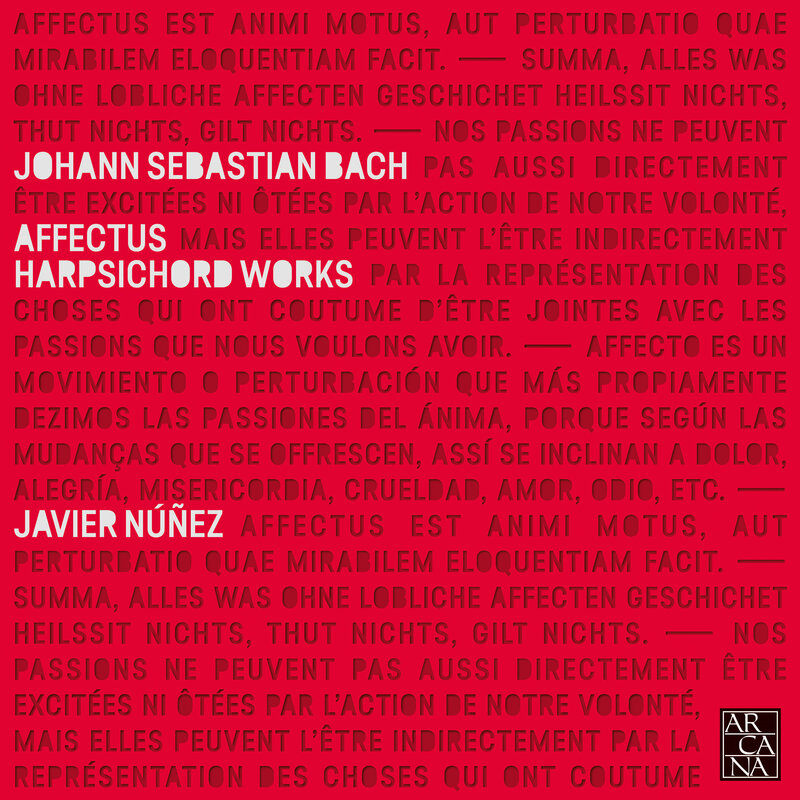 Affectus is a kaleidoscopic selection among some of the most renowned pieces and collections written for harpsichord by Johann Sebastian Bach (1685-1750). Works such as the superb Chromatic Fantasia and Fugue in D minor BWV 903, the serene Contrapunctus I from The Art of Fugue BWV 1080, the striking Fantasia in C minor BWV 906 or the majestic Fugue in C-sharp minor BWV 849 from The Well-Tempered Clavier I. It show us the immense expressive power of his music. Throughout the repertoire of this recording a remarkable amount of different affections or passions can be founded: joy, sadness, delight, anxiety, melancholy, relief, despair... Bach harpsichord compositions are full of originality, richness of invention, profundity, purity and strength. He is, beyond the shadow of doubt, the epitome of Baroque music. Curious, open-minded, fascinated by other cultures, Ondřej Adámek assimilates every aesthetic whose path he crosses. His works reveal all these influences, stamping them with a very individual sound colour that, combined with a powerful rhythmic sense and solid formal solid architecture, creates highly personal music by no means exempt from dramaturgy. Adámek seeks out specific playing techniques for classical instruments and creates new and original instruments. Here the Ensemble Orchestral Contemporain under the direction of Daniel Kawka lays before us an eclectic panorama of his music, from the ritualised, even mechanised sinuosities of a lullaby to the disconcerting mechanism of the strange musical machines he invents, which he does not hesitate to place in front of the orchestra.